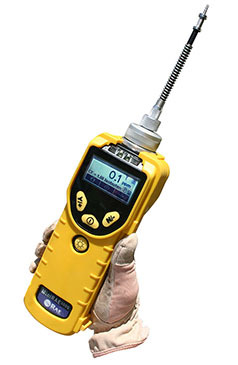 For years people have turned to Geotech for their environmental sampling equipment and supplies, to gather data of various kinds. But did you know that Geotech can also provide tools to help you manage and display the data that comes from your sampling programs? 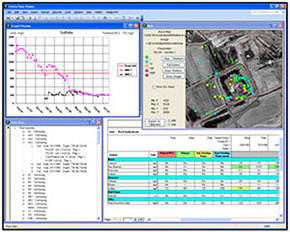 Geotech’s data management software, Enviro Data, has been in use in the environmental industry on a daily basis by hundreds of users around the world for over 20 years. 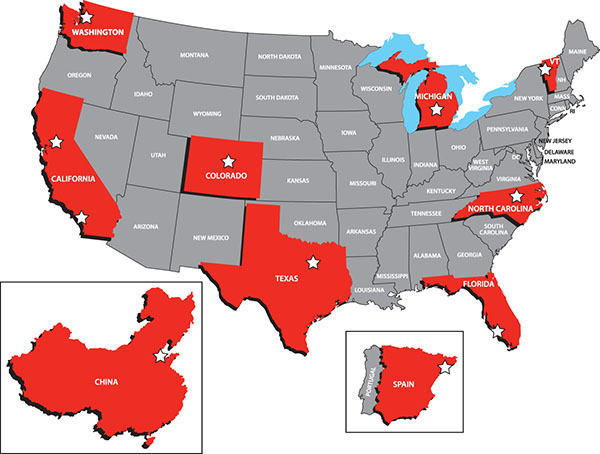 Enviro Data clients range from some of the largest organizations to individual consultants. It is the only product that scales from small projects in Microsoft Access to very large projects in SQL Server or Oracle, and is open-source so you can modify it if necessary. It combines menu-driven ease of use with the ability to be easily customized. And clients say it provides a great value, with affordable concurrent-use licensing and less expensive viewer-only licenses. Enviro Data takes you all the way from sample planning (labels, COCs, etc.) through import, validation, selection, data formatting and reporting, to statistics, graphing and mapping. 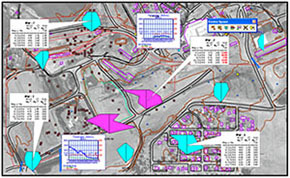 Geotech’s GIS product, Enviro Spāse, builds on the strong interface between Enviro Data and ArcGIS, and runs within ArcGIS. It helps you display your environmental data on GIS maps. Output options include callout boxes (spider diagrams), soil borings, Stiff diagrams, radar plots, and time-sequence graphs on your maps. 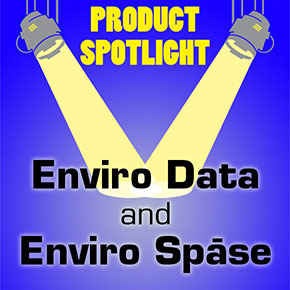 Enviro Data and Enviro Spāse improves time management, while improving the quality of your work product. Ask for a demonstration now. 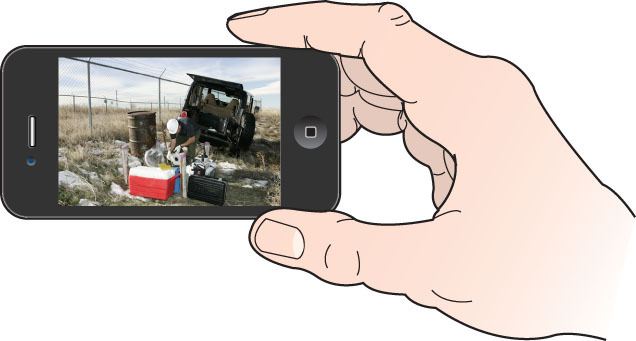 Leptron conducted a survey of the Larimer County Landfill using non-traditional technology. Leptron conducted the survey using unmanned aircraft (drones) for data collection. Equipped with the Leptron Avenger UAS and a Sony A6000 with Georeferencer, remote pilots collected 234 images of the active landfill area. These images were then processed into a seamless high resolution orthomosaic. The photogrammetry was then converted into a digital surface model (DSM) and contoured providing accurate slop grade and elevation data. 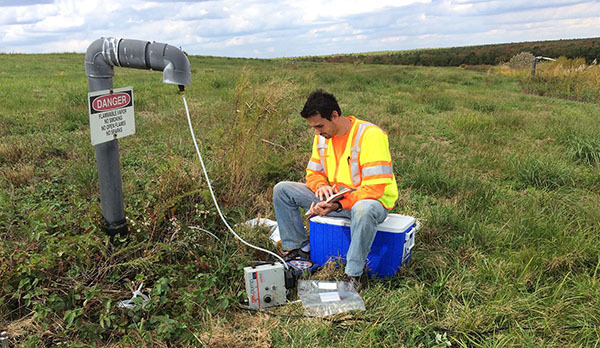 Leptron was able to provide volumetric measurements of stockpiles and other features onsite. While we were there, we were able to identify an area where erosion was a concern. The result of the survey provides cost, safety, and time-benefits over traditional methods of inspection, surveying, and modeling. Interested in learning how you can use drones for your environmental project? is using a Geotech Geopump for landfill gas sampling. 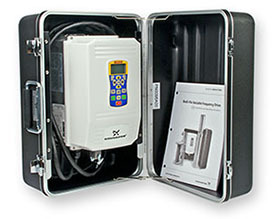 Advanced handheld volatile organic compound (VOC) monitor. Hurry, supplies of MiniRAE 3000s are limited! This year Keystone, Colorado will host the 2016 Annual Conference. The conference will feature nine informative technical sessions, a business meeting, and a Summit County Resource Allocation Park tour. Make plans now to join us at the FRC 2016 this fall, the Southeast's top soil and groundwater cleanup conference returns to Orlando for its 22nd year. It is a technical conference in a casual atmosphere. Please stop by Booth 3 to meet our Fort Myers team. The main topic of this year’s EnviroFest event will be "Political Economy of the Environment". 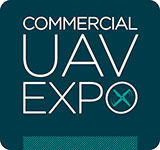 Join us at the Commercial UAV Expo at the MGM Grand in Las Vegas. The Conference program will address critical questions users have about UAS implementation, including systems selection and integration; developing enterprise workflows, guidelines and policies; data management and integration; and legal, safety and regulatory considerations. The international Exhibition includes UAS vendors, drone manufacturers, component and sensor manufacturers, software providers and service companies. View our latest Leptron helicopter drones at Booth 429, and find out how they can used in environmental applications. Join us in New Orleans for the 23rd International Petroleum Environmental Conference. IPEC addresses environmental issues, challenges and solutions for the petroleum industry. It provides professionals from industry and academia unique networking opportunities in seeking solutions to environmental problems of a technical, legal and regulatory nature. The Groundwater Expo has changed its name to Groundwater Week in 2016. A new name for a new, bold, and fresh direction for the industry’s leading annual event. From showcasing cutting-edge technology and products to educational sessions led by top industry experts, Groundwater Week draws the best from all facets of this industry under one roof. Please stop by to visit us at Booth 330. Prices and promotions mentioned in this newsletter are valid through October 31, 2016. 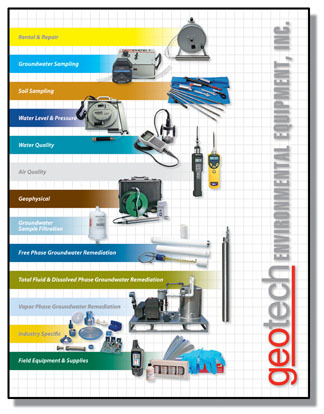 © 2015-2016 Geotech Environmental Equipment, Inc.